Selection of bed frames. Find the perfect bed for your bedroom. Choose from nickel and brass, bronze and iron. Available in: single & double. Single available in: black, white & silver. Double available in black only. Available in white, grey & black. Available colours: black & ivory. Finished in ivory or black. Available in: ivory & black. The Waverley bed frame appears as you might expect: with waves! Finished in a stone white satin finish, incorporates luxurious crystal effect finials and chrome detailing. 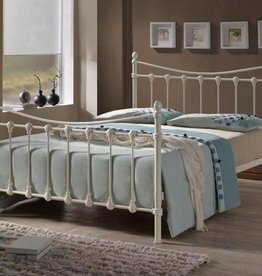 A Victorian style bed frame finished in ivory with round finials and a sprung slatted base. Built with reliably sturdy square metal in a bold and distinctive black finish. 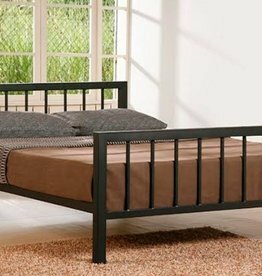 Meridian is a modern style black metal bed frame. The Katrina metal bed finished in a luxurious stone white satin coating. 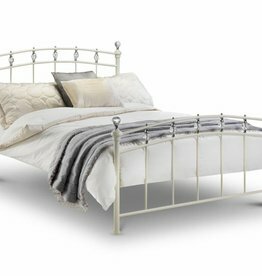 A traditional bed frame finished with chrome finial detailing on the head and foot end. 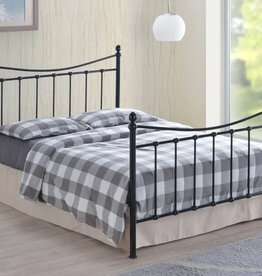 Victorian style bed ivory or black finish, decorative finials, sprung slatted base. Sizes available: single, small double, double & king size. 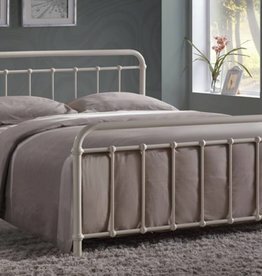 A classically elegant metal bed frame available in a subtle ivory or classic black finish. 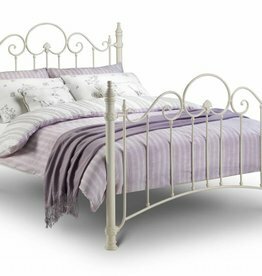 Your bedroom will be wonderfully enhanced by Florence's gently curving headboard. Alexander has a very sure and confident look. 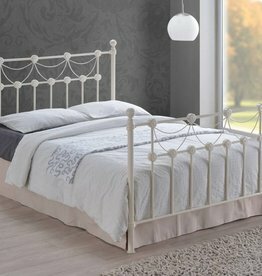 A stunning metal bed frame with an intricate head and foot end, crafted from powder-coated steel and finished in white. 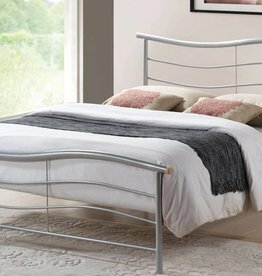 The Brennington silver bed frame is simplicity itself with clean metallic lines that are perfect for a contemporary bedroom. 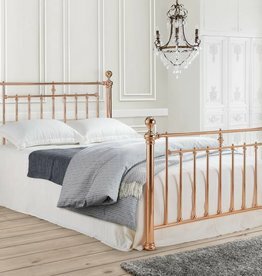 The Alexander bed gold bed frame is designed to create a vintage or contemporary ambience in any bedroom.